We all know that looking sharp 24/7 can take a fair amount of prep. If you were born into the male species, chances are that right about now you are fighting the daily fight to keep undesired body hair in check. Fortunately, there are a number of handy tools that will help you maintain a dapper appearance all year round without taking up all of your bathroom time. Whether you’re looking for a versatile travel styler, a reliable allrounder or a precision trimmer to reach that one particular spot; if there is a hair out of place, you can be certain there is a tool for it. These are the best men’s body groomers to add to your grooming repertoire. 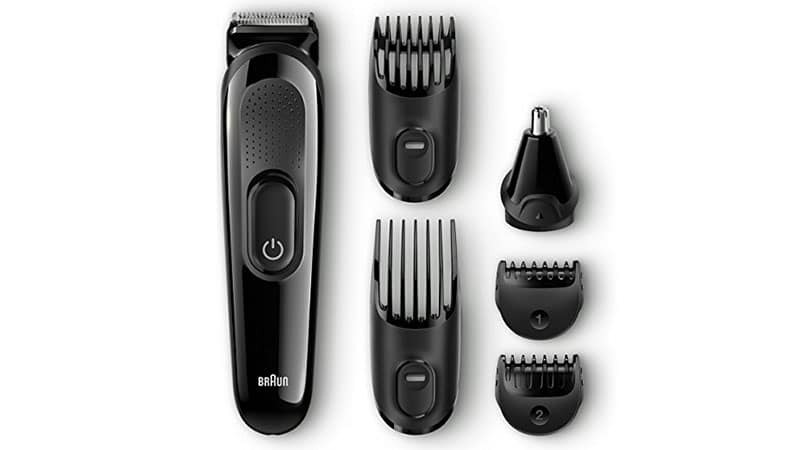 The Braun Multi-Grooming Kit provides an excellent grooming range for little money. With four different combs and 13 precision length settings from 0.5-21mm, you can effortlessly update your look at home. Braun’s precision stainless steel blades were made for a lifetime of perfect trims without dulling down. One full charging cycle of ten hours will result in a smooth and powerful 40-minute hair-trimming experience. As one of the smallest tools on the market, the Gillette Fusion ProGlide is not only a great travel companion, but will also achieve a precision trim in areas that other groomers won’t reach. Armed with Braun’s most advanced blades, the ProGlide Styler offers maximum closeness and comfort for your skin. The slim design makes the styler easy to manoeuvre and create crisp and defined lines wherever you choose to use it. With 70 minutes of cordless runtime, the Remington PG525 is the long distance runner amongst men’s grooming tools. 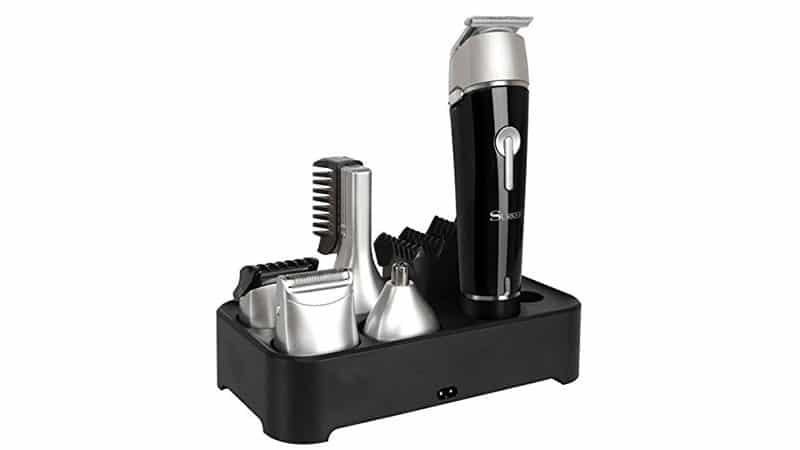 The grooming kit comes with eight attachments, including a vertical body hair trimmer, ready to address all of your hair trimming needs. For a long-lasting, powerful performance, Remington has installed self-sharpening blades made from surgical steel, which will leave your skin with a baby soft finish. 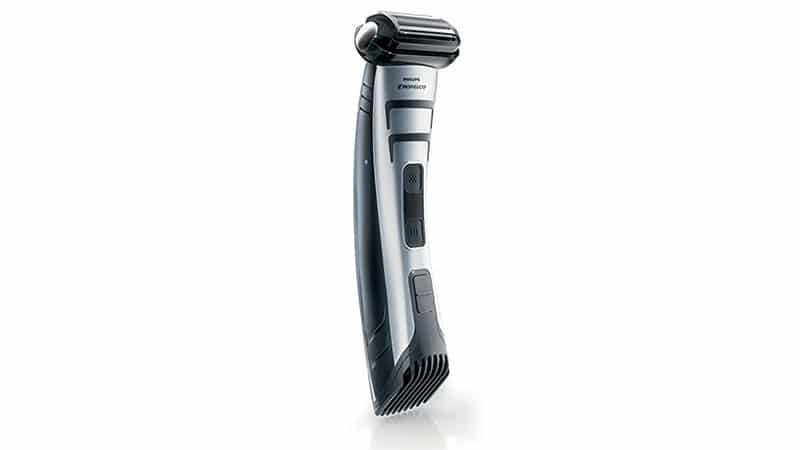 The Philips Norelco Bodygroom Series 7100 is a smart little allrounder. 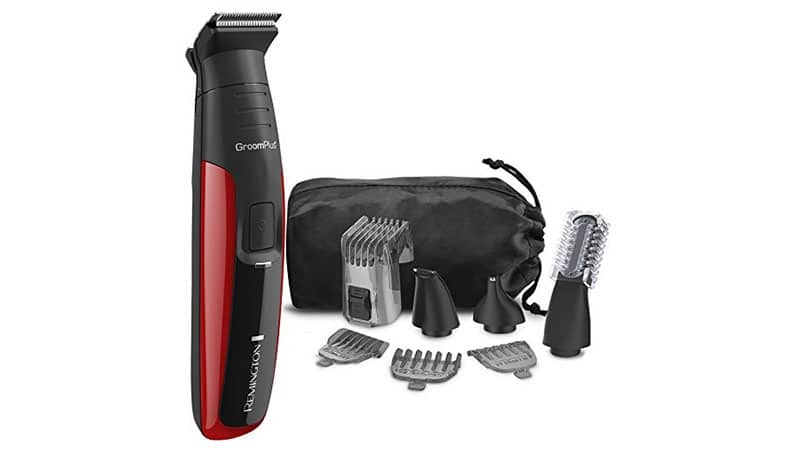 This high-performance trimmer is equipped with rounded blades and a 3D pivoting head that follows the contours of your body to prevent any irritation to the skin. 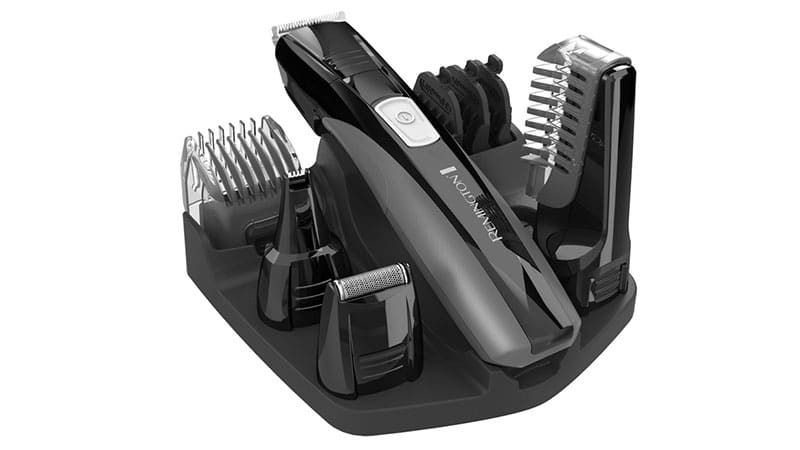 The sleek, versatile design allows you to service all areas, without having to change the shaver head. Whether you prefer a wet shave under the shower or a quick dry one, the Philips Norelco will have you covered either way. 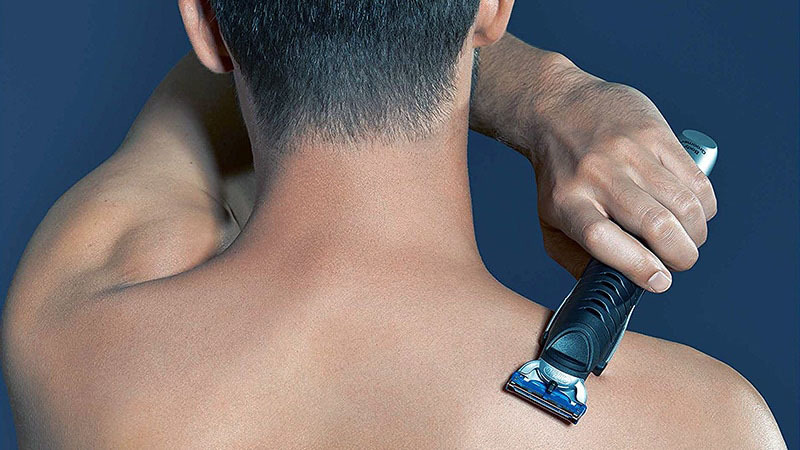 The Mangroomer Ultimate Pro Back Shaver was designed to adapt seamlessly to the natural contours of your back. The shock absorber multi-functional flex necks on the shaver heads ensure perfect skin contact every step of the way, while the handle is fully adjustable to your desired length. 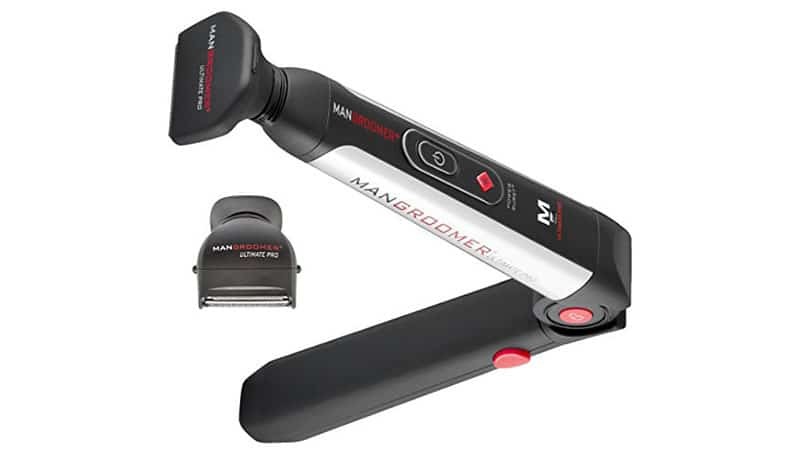 The Mangroomer Ultimate Pro also comes with two interchangeable attachments and a power burst button for extra stubborn growth. If unwanted back hair is your concern but you’re after a less high-tech solution, the Bornku BS100 Back Shaver will come to your rescue. Essentially built like an oversized safety razor, the long handle offers a comfortable grip, and its 5” wide blade provides extensive coverage all over your back. For the smoothest results, use your Bornku Back Shaver in the shower or right after. If you struggle with sensitive skin, take a look at the Philips body grooming range. The Norelco Bodygroom 3100 features a hypo-allergenic shaver with pearl tips to specifically prevent skin irritations often caused by shaving. 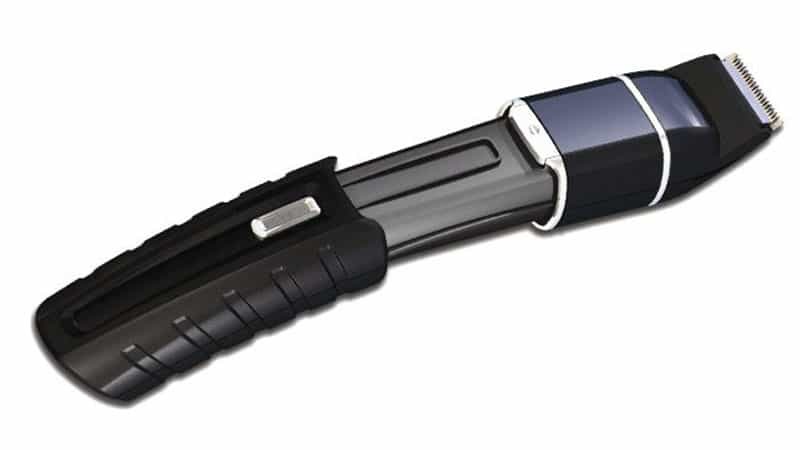 Its blades self-sharpen over time to maintain a strong performance as if it was the first day. In addition to three comb adapters for different lengths, the Norelco also comes with an extra-long back attachment that will make it easier to access hard-to-reach areas like your back. If noise levels of your groomer are a concern for you, the Trim Ultimate Pro-Groomer may be for you. Its noise-conscious, no-vibration design will provide you with the smooth and silent trimming experience you desire. 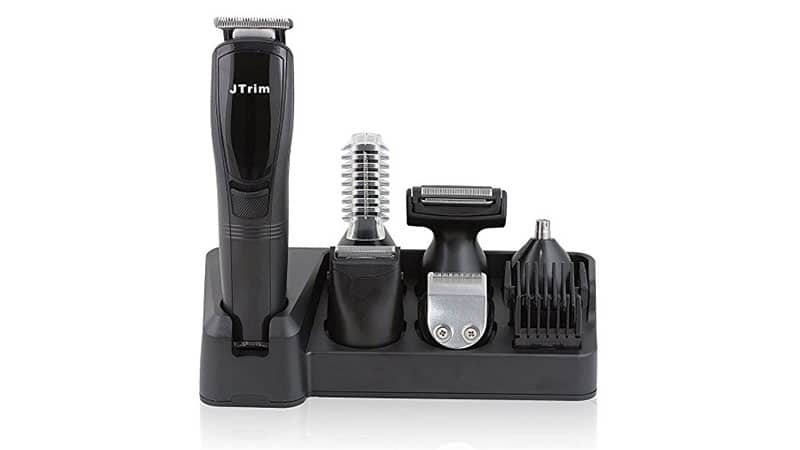 You can purchase the JTrim Ultimate Pro-Groomer in a kit that will service your body, beard, hair, eyebrows, ears, nose and bikini zone. It also incorporates a charger stand, which provides a stylish storing option for your groomer’s attachments. This powerful allrounder from the Remington Lithium Power Series comes with a versatile grooming kit that addresses all your hair-related grooming needs. The 10-piece kit includes a body hair trimmer, a detail trimmer as well as attachments for your nose and ear hair. In addition to that there are haircut, beard and stubble combs, so you can be sure no hair remains ungroomed. Just like the Remington PG525, the titanium coated blades and durable lithium battery ensure a long-lasting performance up to 70 minutes at a time. 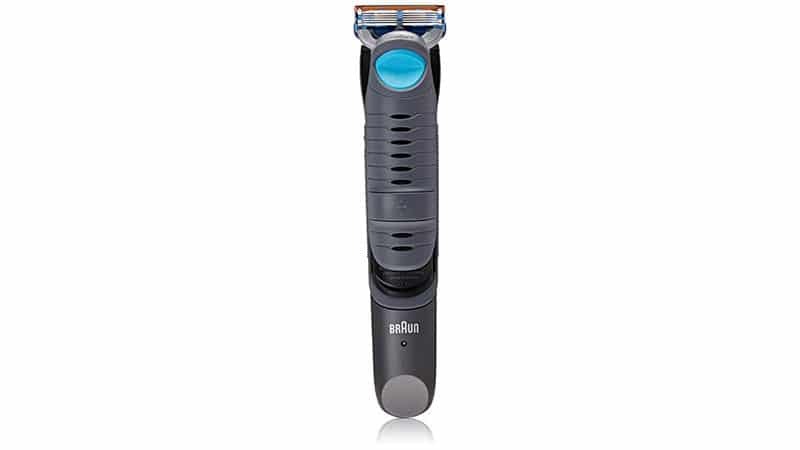 The Braun Cruzer 5 combines a trimming tool with the popular Gillette Fusion shaving technology. 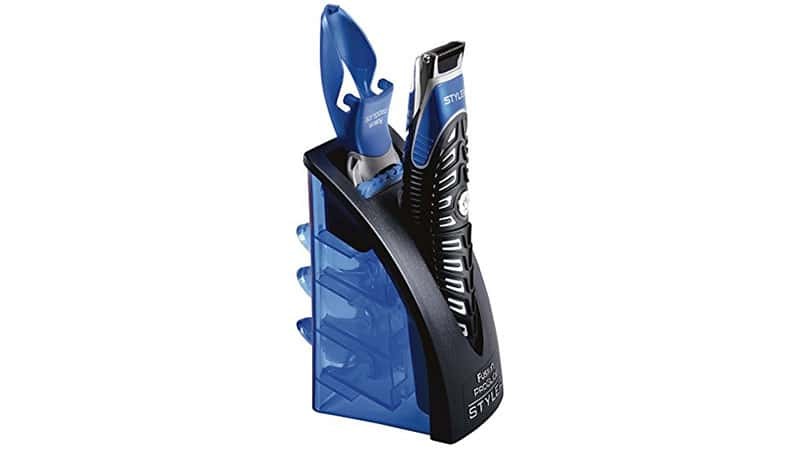 Extra small trimming teeth and five specially aligned blades allow you to prune and shave your hair in one smooth stroke. The Cruzer also comes with exchangeable trimming combs in different lengths that will cut your hair at either 0.6mm, 3mm or 8mm. At a run time of 50 minutes, its slim, cordless design contributes to an effortlessly gentle grooming experience – even under the shower. 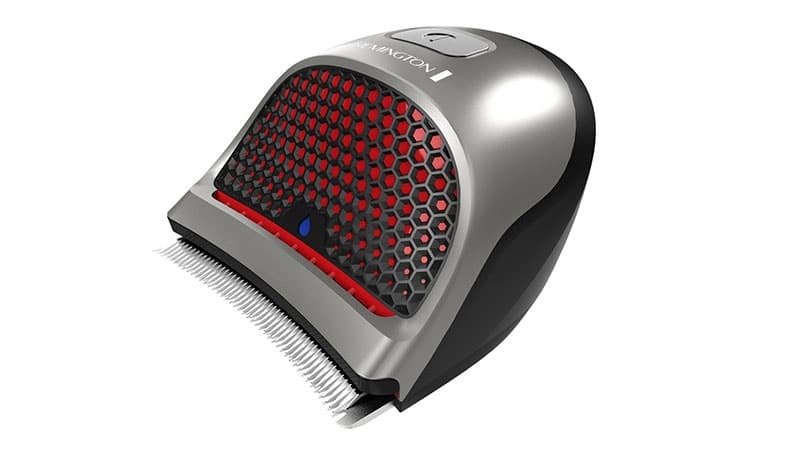 If other home hair trimmers have failed your full head of hair before, the Remington Shortcut Pro is here to restore your faith. Its stainless steel blades cut even through the thickest hair, while its extra-wide curved blade contours your head with maximum coverage and reduces pulling and snagging. Fully recharged, the Shortcut Pro will provide you with 40 minutes of cordless runtime, but don’t fret if you forget to plug it in; this trimmer can even be used on the cord. The 13-piece grooming kit also includes adjustable combs, cleaning brushes, a travel pouch and blade oil. Due to its slim design, the Remington BHT600 Body Groomer is a smart accomplice for frequent travellers. Bi-directional cutting attachments that continue to shave whether you’re moving it forward or backwards. 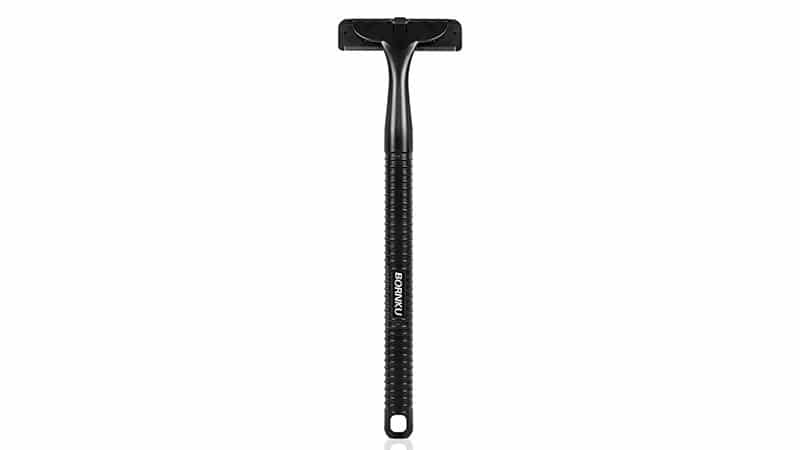 The extendable handle assists you in trimming hard-to-reach areas, such as your back, while titanium infused blades promise a sharper-for-longer shaving experience. The BHT600’s waterproof design enables usage while you’re in the shower. It also comes with a practical travel pouch. With the Surker 5-in-1 Grooming Kit at hand, you won’t have any hairy surprises coming your way. The kit comes with five different shaver heads that will service your grooming needs – and some of your girlfriend’s too. 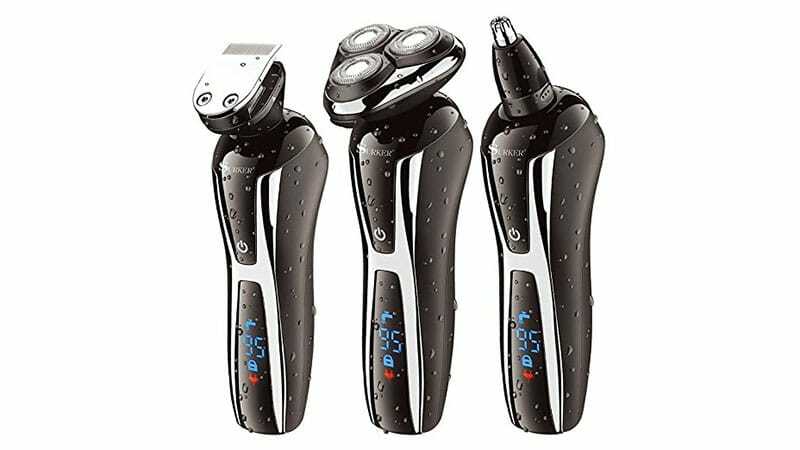 It features five interchangeable heads, which include a hair clipper, a hair trimmer, nose trimmer and even a lady epilator. Eight hours on the rechargeable stand will get you a total of 40 minutes grooming time. 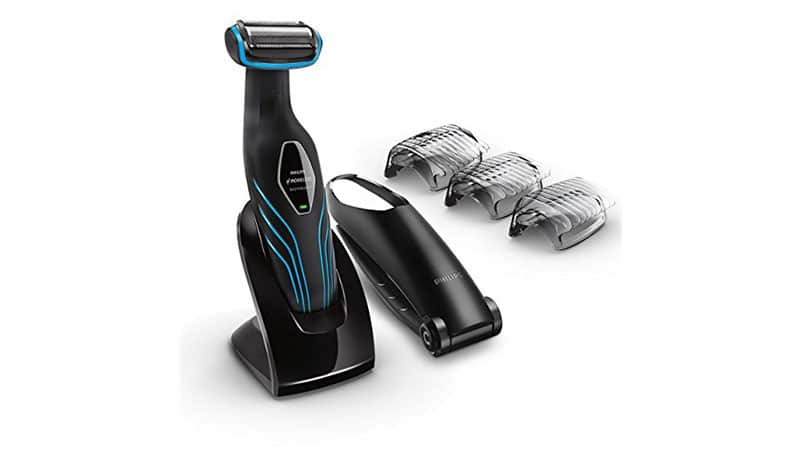 The three different shaver heads of the Surker 3-in-1 Hair and Beard Trimmer will not only service your beard but also your hair, sideburns and any unwanted nasal hairs. The 3D rotary head adjusts perfectly to your jawline and neck for an even and smooth finish. The Surker’s lightweight and sleek design make it an excellent travel aide, whether you’re on the road for business or pleasure. Fully charged within just three hours, this groomer can last you up to a week. The Suprent Beard Trimmer Kit is the great addition to your at-home grooming routing. 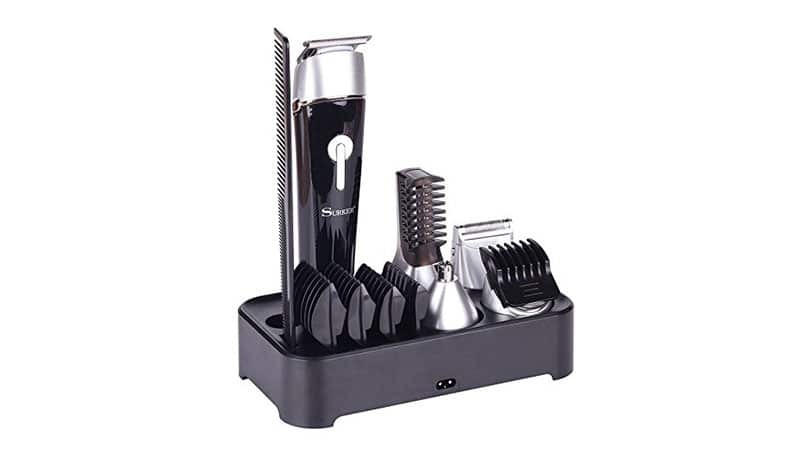 The kit comes with five multi-functional trimmer attachments, addressing all facial grooming needs, such as trimming hair, sideburns, beard, eyebrows and even nose and ear hair. It is also equipped with 420 stainless steel moving and standing blades that prune the hair close to the skin while only producing low-friction heat. This will prevent potential skin burns. The Suprent charging dock will make sure your trimmer is ready whenever you are.